Are you looking for your first wheelchair accessible vehicle or lift? Do you have a wheelchair van currently and are looking to upgrade? We want to save you time and money. Keep checking this page for new promotions and deals. We want to help get the best deal possible and we will update this page with new promotions as they come out. 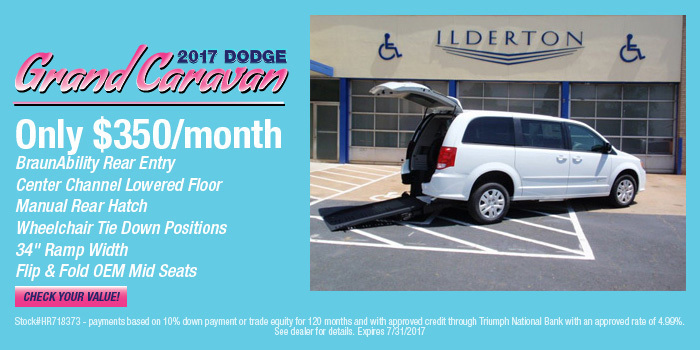 View Ilderton’s current invetory here and request details about this special.